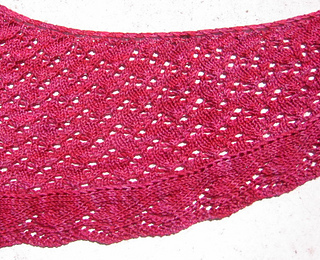 This shawl uses basic lace stitches to create a stunning piece that looks like it took forever to knit, but really, we know differently. 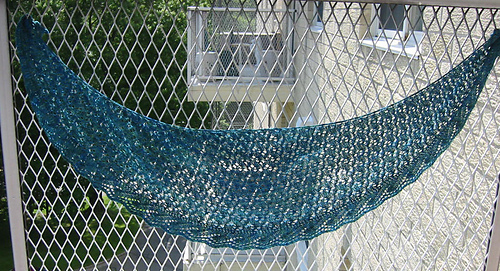 Light and airy as the breeze blowing on a sunny spring afternoon, this shawl is for the adventurous beginner. Really. Finished dimensions: 58” x 12”.